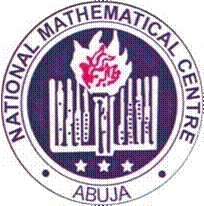 National Mathematical Center, NMC Foundation Postgraduate Course on Statistical Foundations on Probability Theory and Stochastic Processes, See Application Procedures and Guidelines for 2018/2019 Session. The National Mathematical Centre, Abuja is organizing a-3 week scientific programme targeted at graduate assistants, master's students and master's degree holders from universities and other tertiary institutions in Nigeria. The Centre will provide feeding and accommodation at NMC for both the Participants and Resource Persons at a subsidized rate. However, the Participants will be responsible for their travel expenses and other logistics. Interested applicants can apply online at our website: http://www.nmc.edu.ng. Closing date for application is 30th October, 2018.